The Home Economics and Art Department have a shared topic of fashion design and so they organised a joint trip to the Victoria and Albert museum in London to see two special exhibitions: Undressed: A Brief History of Underwear and You Say You Want a Revolution? Records and Rebels 1966 – 1970. 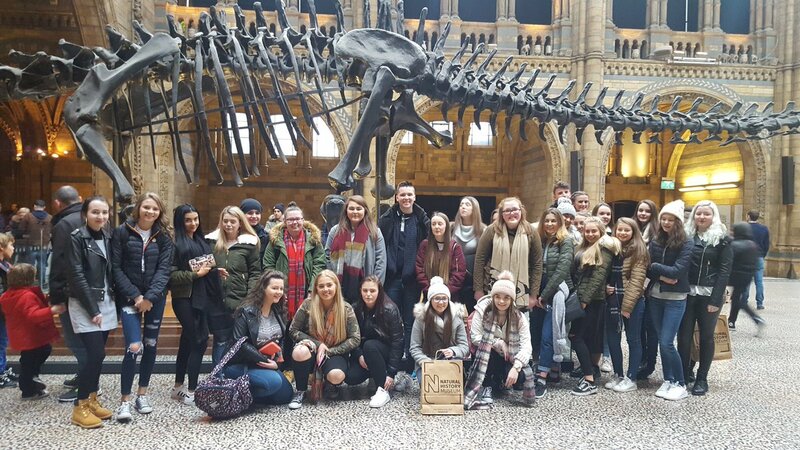 As part of their time in London pupils also had the opportunity to visit the London Eye and the restaurant Planet Hollywood.